Who won the first Daytona 500? What do teams do to prepare their cars for 500 miles of hard, high-speed racing? Who gave the Daytona 500 the nickname the "Great American Race"? Learn all about stock car racing's biggest event and the drivers and crew who make it possible in this fascinating, fact-filled book. You will join in the excitement of 43 cars running nose-to-tail and side-by-side at almost 200 miles per hour. You'll also discover the rich history of stock car racing and find out why it's one of the most popular sports around. Who won the first Daytona 500? What do teams do to prepare their cars for 500 miles of hard, high-speed racing? Who gave the Daytona 500 the nickname the "Great American Race"? 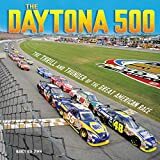 Learn all about stock car racing's biggest event and the drivers and crew who make it possible in this fascinating, fact-filled book. You will join in the excitement of forty-three cars running nose-to-tail and side-by-side at almost 200 miles per hour. You'll also discover the rich history of stock car racing and find out why it's one of the most popular sports around. 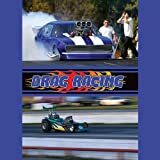 This audiobook describes drag racing and why it is only legal in a closed track. It provides information about the history of the sport, characteristics of the vehicles, important events, and famous drivers. A CAR RESTORATION GUIDE FOR YOUNG ADULTS!Discover How to Turn Your Passion For Vintage Cars into a Lifelong Hobby Or Even an Awesome Career!Restore Your Old Ride & Turn Her Into That Choice Classic Car You've Always Dreamed AboutFor many, classic car restoration is more than just a hobby; it is a way of life. It is more than something people do in their garage in their spare time.If You're Looking for an Automotive Restoration Manual with Specifics on Certain Cars, THEN THIS IS NOT THE BOOK YOU'RE LOOKING FOR...BUT IF YOU ARE LOOKING FOR A BASIC AUTO RESTORATION PRIMER, THEN THIS IS THE BOOK FOR YOU!There are thousands of classic car clubs all over the world devoted to people who restore cars as a hobby or a business. If you love automobiles, especially old classic cars, and you have never restored a vintage car, this book may be a life changer for you. You may find that there is nothing finer than turning a neglected piece of automotive history into a drivable and admirable work of art.Career Craft or Happy Hobby?Don't let this book drive away without getting in and taking a ride.What You'll Discover in This Volume1. CARS OF THE STARS AND PLANES OF FAMEAn introduction into automotive restoration.2. ROUNDING UP YOUR RESOURCESWhere to start and what to start with.3. PLAN YOUR DRIVE & DRIVE YOUR PLANIf you fail to plan, plan to fail.4. CAR, AUTO, HORSELESS CARRIAGEA bit of history and classification.5. THAT NEW CAR SMELLGetting into the interior.6. NO BODY 'TIL SOMEBODY LOVES YOUImportant considerations for you car's body work.7. MORE THAN JUST BAILING WIREClassic car and vintage auto restoration is more than repairs and a quick fix. For many, its art.8. DON'T FORGET THE DETAILSWith vintage autos, the details can be the difference between an average and GREAT resotoration.9. FOR WANT OF A FUSEGetting into your car's electrical system.10. MODELS ARE MUCH, MUCH EASIERAuto restoration is an expensive, difficult and time consuming craft.AND MUCH MORE...Turn your love for custom classic cars into a great lifetime hobby... or even a lucrative and fulfilling career!Get Your Copy Today!...in Kindle eBook format or paperback!Also available for teens in Kindle Unlimted Books! In this collection of 36 poems, award-winning poet Janet Wong covers familiar territory: everything from parents as air bags ("in your face") to car shows to cop stops, hitchhiking to unlucky license plates, parking manners, crashing, insurance, and learning to drive. This book will remind drivers of all ages of their own funny and poignant driving stories and inspire you to write some of your own; a great gift for new drivers.Award notes: this book was an ABA "Pick of the Lists" and an ALA/YALSA "Quick Pick for Reluctant YA Readers." As the son of an automechanic, racing great A.J. Foyt grew up in the world of fast cars. Foyt dropped out of high school in order to pursue his passion for auto racing full time. It was a risky gamble, but it paid off: Through hard work and determination, he eventually became the only driver to race in the Indianapolis 500 for 35 consecutive years, with a total of four wins. From driving midget cars to winning championship races, this inspiring new full-color new biography is the compelling story of how one man's dream of race-car stardom became a reality. Henry Neil "Soapy" Castles grew up in Charlotte, North Carolina, and became involved in its pioneering auto racing scene at an early age. Graduating from soapbox derby cars to midgets and sprints and finally to stock cars, he sometimes crashed, sometimes won, saw friends die horribly, and became a champion. Eventually he left the racetrack for Hollywood where he became a stuntman working alongside such stars as Rory Calhoun, Elvis Presley, Kenny Rogers, Richard Pryor and Andy Griffith. In the 1990s, groundwater contamination at Castle's truck repair business from an Exxon oil storage facility cost him an eye and most of his lungs. His decade-long class action lawsuit won him millions in compensation. Now in his mid-eighties, Castles is still going strong, procuring vehicles for movie and television projects. In this collection of 36 poems (plus a new author's note at the end of the book), award-winning poet Janet Wong covers familiar territory: everything from parents as air bags ("in your face") to car shows to cop stops, hitchhiking to unlucky license plates, parking manners, crashing, insurance, and learning to drive. This book will remind drivers of all ages of their own funny and poignant driving stories and inspire you to write some of your own; a great gift for new drivers. Award notes: Behind the Wheel was an ABA "Pick of the Lists" and an ALA/YALSA "Quick Pick for Reluctant YA Readers." High interest, edgy activities fill the pages of Nailed It! Extreme BMX Freestyle. The carefully written, considerate text will hold the readers' interest and allow for successful mastery and comprehension. Written in the high-low format, this series has a HIGH interest level to appeal to a more mature audience but maintains a LOW level of complexity with clear visuals to help struggling readers along. Extreme BMX Freestyle presents the thrills and spills of this most intriguing extreme sport. A table of contents, glossary with simplified pronunciations, and index all enhance achievement and comprehension. Daytona Beach, Florida, 2001. Sportswriter Dave Caldwell watches from the stands as a black Chevrolet pulls ahead in the final laps of the Daytona 500. In an instant, it's over. The car smashes into a wall at 175 miles an hour, killing one of stock car racing's most loved drivers. The death of Dale Earnhardt inspired an outpouring of grief, drawing new fans to the sport and driving NASCAR to the top of the sporting industry. From its roots during Prohibition to today's die-hard fans, Dave Caldwell weaves together his firsthand observations as a NASCAR reporter with excerpts from The New York Times archives to give readers an inside look at the spectacle that is America's new favorite pastime. 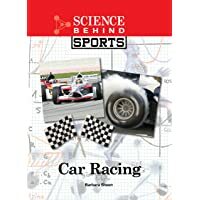 Explores the sport of auto racing, including its history, greatest moments, notable drivers, and what the future of the sport holds. The Formula for Building and Racing PineCars was written especially for young racers. This book is the first in its field to give you step-by-step instructions that include designing, cutting, shaping, painting and adding details to your derby race car. It also devotes an entire section to Speed and Racing. This section gives detailed information on how factors such as shape, weight, and axle polishing can be used to get the most speed out of your racer. The Speed Tips included will give you the winning edge at your race. 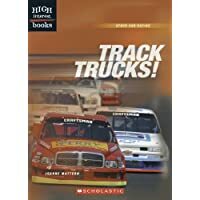 Provides information about the history, sponsors, tracks, cars, drivers, and scoring of the important races of NASCAR, including the Nextel Cup, the Busch series, and the Craftsman Truck series. A biography which focuses on the racing career of Dale Earnhardt, the winner of the 1994 Winston Cup championship. The drivers deliver the thrills, the car manufacturers provide the high-performance machines, and the sponsors supply the financial resources to make it all happen. But it is the work of the pit crew that can make the difference in the outcome of the race. And as readers of this eye-opening new book will learn, a great pit crew can easily be considered a racing team s most valuable asset. The Pit Crew goes behind the scenes to capture the dedication of these often-unsung heroes of auto racing, who not only maintain and repair the race cars, but also seem to have any part required to get the car back into the race in record time. Everything you ever wanted to know about motorsport: the cars, the races, the drivers, the records. This book showcases the best fast cars from 1901 to today and includes an interview with Ben Collins (a.k.a. the Stig) on what it's like to drive Batman's and James Bond's cars. Helps you learn about the competitive world of land speed racing. Featuring full-color photographs, this book highlights the amazing speed machines and their intrepid drivers who compete on racecourses ranging from a desert in Nevada to a dry lakebed in Australia in an effort to claim the world land speed record. 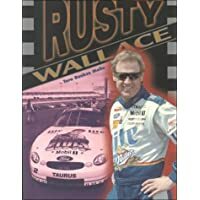 Examines the life, racing career, and future of Rusty Wallace, who won the Winston Cup in 1989.